Will is a senior at Harvard studying Computer Science. Growing up in sunny South Florida, Will has fond memories of being an HMC delegate in high-school as well. Now on the other side of the dais, Will looks forward to giving back to the HMC community and ensuring the best possible committee experience for his future delegates. From Boston to Singapore, Will cannot wait to continue his HMC journey! Matt is a junior at Harvard studying Government with a minor Ethnicity, Migration, and Human Rights. Originally from the Washington, D.C area, Matthew has had a life long passion for politics and international relations. At Harvard he’s heavily involved with the Institute of Politics, where he serves on the Executive Board as Treasurer. Outside of the IOP, he conducts research on American foreign policy and negotiation strategy at both Harvard Law and the Kennedy School. He enjoys traveling, trying new foods, and watching videos of Corgis on the internet. William is a junior in Adams House studying Economics and Linguistics. He grew up in the town of Manhasset on Long Island, New York. In addition to Harvard Model Congress, William is a historical tour guide, and he is involved in some business and finance organizations on campus. HMC Asia 2019 will be his 9th HMC conference and his third year staffing HMC Asia. William is very excited to make the upcoming conference HMC Asia's best year yet! Ben Delsman is a senior originally hailing from the beautiful state of Oregon, now studying Economics and Government here at Harvard. When not writing RapGenius comments on Kanye lyrics, you can usually find Ben hiking or playing intramural basketball poorly. He’s excited to share his passion for all things political! Audrey is a junior in the College studying Neurobiology with a focus in the Mind, Brain and Behavior Track. She is originally from Salinas, CA. In addition to HMC, she is training to become an EMT through CrimsonEMS, works as a Consent Advocate and Relationship Educator to promote sexual assault awareness on campus, and sings with Harvard LowKeys. She also loves to ski with her family, play with her dog, hike, and read. Ben is a senior studying Economics and Neuroscience. At Harvard, he's worked on research at the Kennedy School and the Business School. At home, he's worked on training his dog Max to bark on command. He has failed. Fernando is a sophomore at Harvard joint concentrating in Sociology and Spanish. He was born in San Jose Costa Rica, but now lives in Nanrtucket, MA. Fernando was an HMC Boston delegate during high school, and is excited to return again this year. He has previously staffed conferences in Hong Kong and Boston. Fernando is passionate about sailing and adventure. Taylor is a sophomore at Harvard originally from Danville, Kentucky. He studies Government, conducts research at the Kennedy School, and participates in several programs at the Institute of Politics. He also enjoys running, watching Scandal, and spending time with family and friends. He staffed his first HMC conference in San Francisco and absolutely loved it, so now he's back! Cate is a junior in Dunster House studying Applied Math with a focus in Computer Science and minor in Economics. She grew up in the Boston area but now lives outside of Philadelphia. In addition to HMC, she is involved with the Institute of Politics Technology Policy Group, the American Cancer Society’s Relay for Life, and Harvard’s Peer Advising Fellow program. Hank is a sophomore at Harvard studying government. Originally from Colorado, Hank is passionate about politics and civic engagement. Last year, Hank staffed the Senate at HMC Boston and was so proud to see his committee pass bills through fell session. When he's not studying, Hank loves language learning and travelling. Sophie is a senior at Harvard studying mechanical engineering. She is really excited about the intersection of public policy and technology and is eager to bring her experience from college and from jobs to HMC. She loves to cook and bake, and when she's not cooking and baking, she's probably watching TV shows of other people cooking and baking. She also loves to hike, travel, and get to know new people! Ben is a junior at Harvard studying Social Studies, where he is particularly interested in exploring the role the internet plays in determining social and political outcomes. He has lived in Cambridge, MA his whole life and therefore has extensive knowledge of local food spots. When he's not workings, Ben likes to hang out with his friends and work for the Policy Program at the IOP. Tanner is a senior at Harvard pursuing a concentration in Social Studies with a focus in American Foreign Policy and Diplomacy. He hails from Cohasset, MA, attended Boston College High School in Dorchester, MA, and is the proud, oldest brother of four boys. In his free time, Tanner is often found working at his job in Lamont Library, frequenting the Institute of Politics, staying active, or with friends. Starr Rhee is a sophomore at Harvard College from Nashville, Tennessee. She studies Government with a secondary in Spanish. In addition to doing HMC, Starr enjoys reading, eating, traveling, and coaching a high school debate team. She is so excited for HMC Asia! Micaela is a junior from Brooklyn, New York studying Psychology and History of Art and Architecture. Outside of HMC, Micaela mentors elementary and middle school students at the Harvard Ed Portal and is helping to plan a new conference in the Middle East. In her free time, she loves painting and playing with her two little sisters. This is her second year in HMC, and she can’t wait for another amazing conference. Maya is a Sophomore at Harvard hoping to study Sociology. A native of Montclair, New Jersey, Maya is dedicated to utilizing the transformative power of the political process to uplift people around the world. In addition to her role with HMC, Maya serves as the Co-Chair of the Politics of Race and Ethnicity Program at the Institute of Politics, works as a news correspondent for Harvard’s radio station WHRB, and tutors students at the Harvard College Writing Center. Maya loves Kanye’s new album, and is always ready to gush about it. Melvin is a senior at Harvard concentrating in Government with a secondary in Computer Science. He has been active in HMCA since his freshman year; he previously served as the Faculty Liaison, and then as the President of the HMCA Conference. This is his seventeenth HMC conference (including three as a delegate), and he is excited to be returning to HMCA for the fourth and last time! Walker is a senior at Harvard majoring in Economics with a minor in Statistics. He particularly enjoys studying behavioral and development economics. On campus, he is a tour guide and orientation leader. He also does research at the Harvard Business School. In his free time he enjoys playing spikeball and skiing. He lives outside of Boston but has also spent time in Pennsylvania, Connecticut, and Colorado. Will is a sophomore at Harvard studying Government. In addition to working with Harvard Model Congress, Will is also involved with Harvard’s Institute of Politics, where he writes polls of young Americans and encourages them to vote. Will has staffed conferences in Boston, Madrid, and Mexico City. In his free time, he loves to snowboard, hike, or bike in the mountains near his hometown in Utah. Regina is a junior from Chevy Chase, MD concentrating in Psychology with a secondary in English. She started HMC as a delegate and has participated in 8 conferences in Boston, Asia, and San Francisco. Outside of HMC, she is a member of the Small Claims Advising Service and tutors and mentors on campus. She loves all food, Netflix, and hopes to go to law school after graduating from Harvard College. Andrew, originally from Sudbury, MA, is a sophomore at Harvard. He is concentrating in Government with a secondary in Statistics. Outside of HMC, Andrew is a member of the Harvard Glee Club and the Harvard Program for International Education. In his free time, Andrew likes to play soccer, swim, and play Settlers of Catan. Francisco Cernada is a junior concentrating in social studies with a focus on race, immigration, and economics. He grew up in Houston, Texas, and his family is from Guatemala and the Dominican Republic. He spends time at Harvard mentoring and tutoring teenage students in Boston, staffing for Harvard Model Congress, and working on the board of a pre-orientation program for first-generation college students. He's interested in education policy, immigration reform, international relations, and Netflix Originals. He loves to run, play soccer, and dance. Lyndon hails from the great city of Toronto, Canada and still thinks Harvard is Hogwarts. His biggest passion is film and he one day hopes to be a director and screenwriter. Lyndon delights in living out of a backpack for extended periods of times in far away places, and talking about movies with anyone willing to listen. Jessica is a senior at Harvard studying Chemistry with a secondary in History of Science. Originally from Brookline Massachusetts, she is thrilled to be staffing her second Harvard Model Congress Asia conference. In her free time, she loves to try new foods and figure skate. Avital Romoff is from Montreal, Canada and is currently a junior at Harvard College concentrating in Sociology with a secondary in Economics. 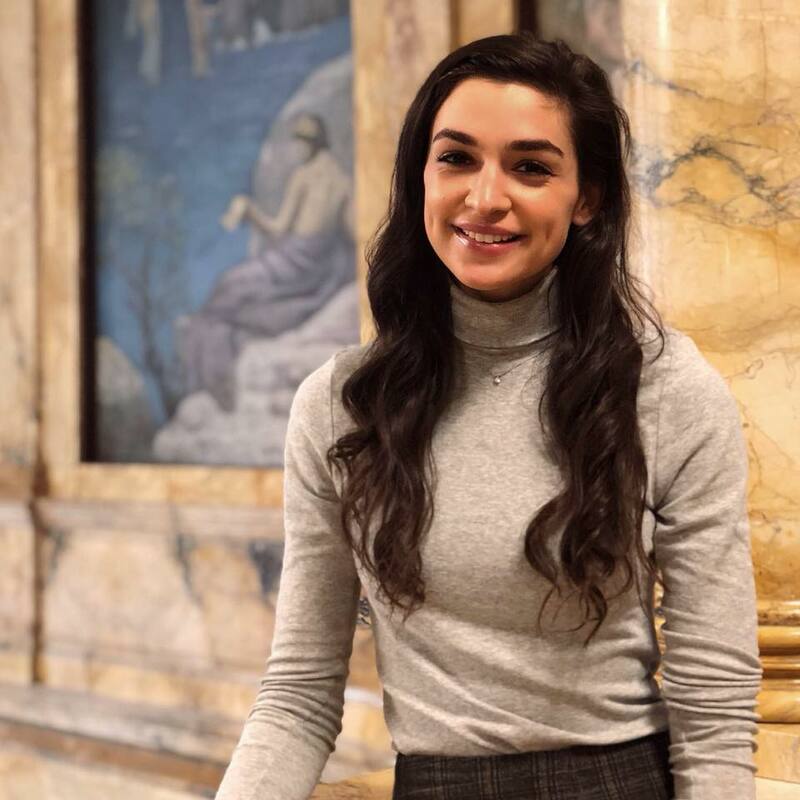 At Harvard, Avital is a senior staffer for Harvard Model Congress, works for the admissions and financial aid office, and is on the board for Habitat for Humanity. Avital loves to write comedy and prides herself on having won the intramural foosball championships freshman year. 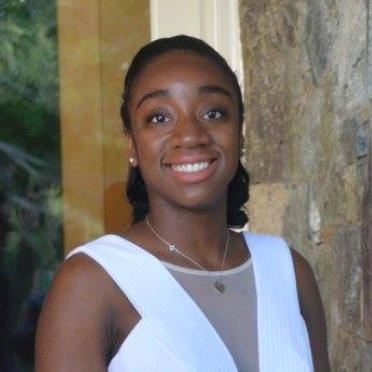 Kemi Akenzua is a junior in Leverett House. She is from Los Angeles, California and will likely be concentrating in History and Science with a secondary in Economics. In addition to Harvard Model Congress, she participates in organizations such as Women in Computer Science and works as a tour guide for Harvard’s Admissions Office. Kyle Sanok is a junior in Lowell House from Washington DC/Northern Virginia area. He is concentrating in Applied Mathematics with a focus in Artificial Intelligence, and he plans to get a secondary in Classics. Outside of the classroom, Kyle gives historical and admissions tours for the school, and he sings in a co-ed a cappella group, The Harvard Lowkeys. He also enjoys exercise and exploring the Boston food scene! Jefferey is a senior at Harvard studying Government and Art History with a minor in Computer Science. Originally from Southern California, he loves watching the Los Angeles Lakers. Jeff also plays on the Club Basketball team and enjoys picking up new hobbies in his spare time. This will be his 6th HMC conference, and 3rd year as a part of HMC. Lainey Newman is a rising sophomore at Harvard College from Pittsburgh, PA, in Adams House. She intends to concentrate in Government with a secondary in Global Health & Health Policy. Lainey cares deeply about teaching young people the importance of democracy and government, which is why she wanted to get involved with HMC. Outside of HMC, Lainey writes for The Harvard Crimson, is involved in the Harvard Institute of Politics, and volunteers in Boston. For fun, Lainey likes to spend time with friends and family and cheer for the Pittsburgh Pirates, Penguins, and Steelers. Nicholas Eynon is a junior in Kirkland House studying Human Developmental and Regenerative Biology, with a secondary in Global Health and Health Policy. With Harvard Model Congress, Nicholas has staffed conferences in Boston, Hong Kong, and Madrid, and currently serves as President for HMCSF. Outside of HMC, Nicholas is a member of the Expressions Dance Company, a hip hop dance group run entirely by students, and serves as a Team Leader for the First-Year Retreat and Experience (FYRE). Originally from Celebration, FL, Nicholas is excited to return to the warm climate of Singapore again for another great year.